*BOOK GIVEAWAY* Leave a comment below on this post and you will be eligible to win a free copy of Officer Katz and Houndini! The giveaway will be open from October 26 until November 1. The book giveaway officially closed yesterday and the winner is . . . RebeccaAa! Congratulations–we’ll be in touch shortly. I love a cat vs. dog story. But as a hybrid cat person/dog person, I never know who to root for. As good fortune would have it, I don’t have to pick sides in Maria Gianferrari’s new picture book Officer Katz and Houndini: A Tale of Two Tails published this week by Simon and Schuster. Readers can enjoy plenty of silly, sticky, maze-bending, catapulting antics before arriving at a satisfying (and collaborative) solution to this classic canine-feline face-off. Illustrator Danny Chatzikonstantinou’s cozy autumny teal-orange-maroon palette and his adorable mustachioed Houndini inspired one of my fave kid-friendly craft projects ever: mustaches on a stick! Who doesn’t want to sport a mustache once in a while? And everything is better on a stick. Think old-time opera glasses, but more debonair and dastardly. It couldn’t be simpler: print the pattern and trace on card stock. Apply a dab of hot glue to the back of your mustache and adhere the pointed end of a wooden skewer. Voila! An escape artiste is born. In case you’re more law-and-order feline than hard-to-pin-down canine, try this pattern instead: an official Officer Katz Kitty City sheriff’s badge. Just trace the pattern onto card stock, cut out, and hot-glue a pin clasp to the back. Monday, Oct. 17: Writing for Kids (While Raising Them) THREE GIVEAWAYS: a query pass from the amazing Ammi-Joan Paquette of Erin Murphy Literary; picture book critique from me, and a copy of Officer Katz & Houndini!! Maria Gianferrari’s a lucky dog—she gets to write stories about cats and dogs, and when she’s dog-tired, she can catnap in her office. Maria lives in northern Virginia with her cat’s meow of a family: her scientist husband, artist daughter, and top dog, Becca. She is the author of the Penny & Jelly books as well as Coyote Moon and the forthcoming Hello Goodbye Dog. To learn more about Maria, please visit her website at mariagianferrari.com, Facebook or Instagram. The days grow shorter and brisker: time for tea and more snail mail! Inspired by this antique-looking floral scrapbook paper I found in my local craft store, I decided to try my hand at making envelopes. It couldn’t have been easier: just cut and fold, and voila, crisp, pretty envelopes ready for the postman. I made two patterns: one for A4 envelopes and another for A6 envelopes. For most accurate sizing, print at 108%. 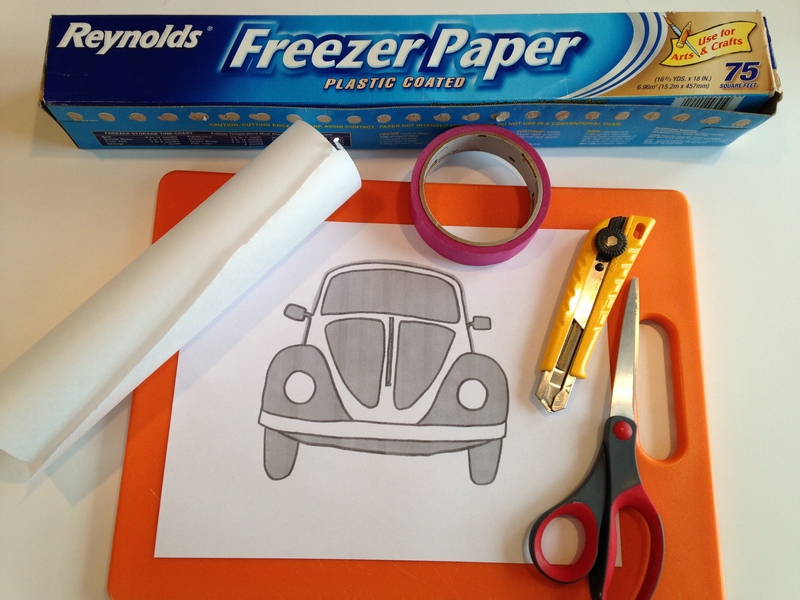 Just trace the pattern on the back of your craft paper, cut out, and fold and crease well along the dotted lines. Glue where the flaps overlap. Done. Time for a new matchbox house! This one is a Brooklyn brownstone, pre-gentrification. 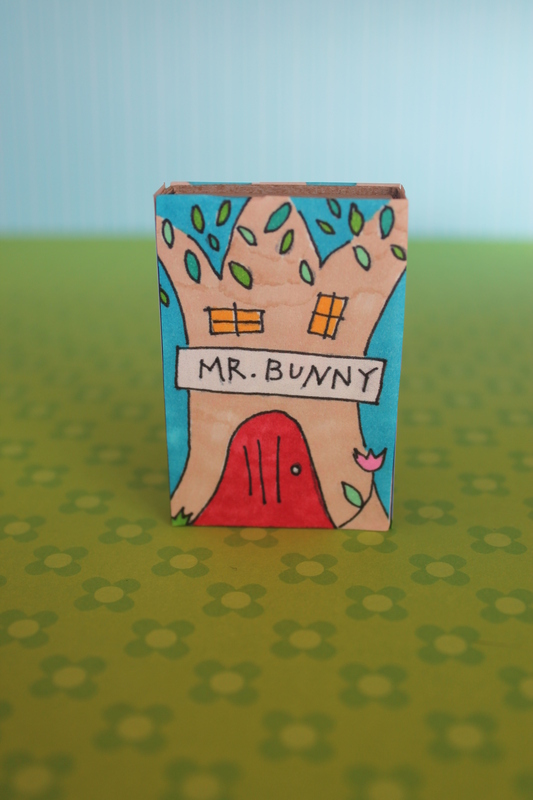 Get out your fine-point Sharpies, because the free printable coloring page is here: Brownstone Matchbox by homemadecity.com. Note: I printed the page at 115% to fit the matchbox I had on hand. You may have to do the same. Happy Spring!